Joe Moore, a singer songwriter who originally emigrated from the UK, now calls Australia home and what’s more, he’s making headway in the Australian music scene. I originally stumbled upon Joe as a frequent busker in Pitt St Mall in Sydney then followed him on social media to find his gigs and performances. The emerging talent has played in venues across Sydney, from Bondi to Kings Cross, has played at a variety of RSL’s and has performed as a support act for concerts at the State Theatre. I caught him playing at The Lair in The Metro, George St, which is the perfect venue for music gigs and cozy concerts. Although an original singer-songwriter, Moore covers bands such as The Coronas, Coldplay, The Fray and The Script to name a few. Sydney has watched him grow from singing with an amplifier in the mall, to topping YouTube fanbases, then finally showcasing his talent on Australia’s Got Talent later in 2012. To see him in his element at The Lair in both October 2012 and January 2013 was like seeing a child you’ve raised graduate. Joe Moore is a great performer who spends a few moments in between songs to chat to the crowd, interact with fans and introduce songs via personal experiences, he really goes guarantee a good concert. I discovered JackManFriday when in the city, and he was busking around Pitt St Mall. I found him busking again with a growing crowd outside Town Hall. 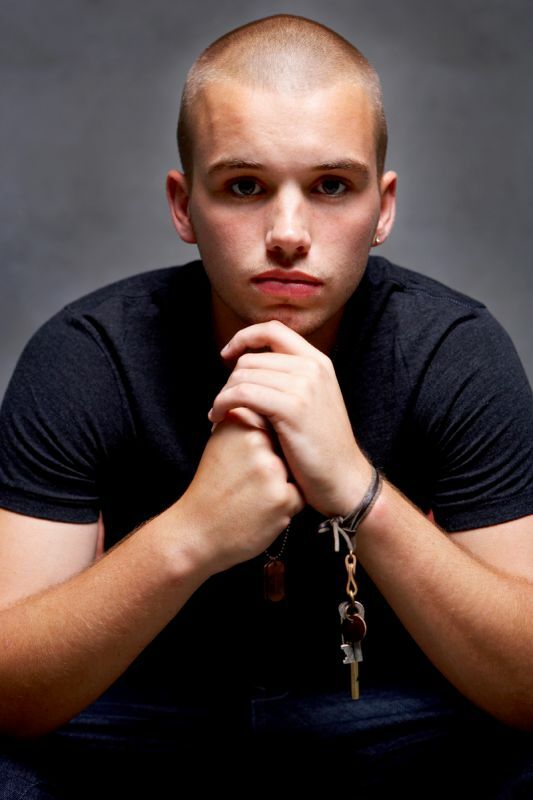 Jack is a prime example of an upcoming artist with a growing reputation, trying to make a splash on the grand music scene. As a one man act, his album Foxes covers bands like the John Butler Trio, and their songs; “Don’t Wanna See Your Face” and “Ocean”, so that provides a little taste of what Jack Man Friday sounds like. Foxes, Jack’s first album, was released in 2011 and included 5 new tracks which set up his sound- mixing fingerstyle acoustic guitar with beatbox, drum, bass and vocals, falling into the genres of folk and indie. Apart from his busking gigs around The Rocks and the Sydney CBD, Jack has aired on Triple H, 100.1 FM radio, broadcasting his music to a wider audience. From there, he recently released his new self-titled EP, Jack Man Friday, which is of professional quality. This self-produced CD showcases excellent editing and really emphasises his fantastic guitar work. This is a new and emerging talent to keep track of, as his music empire seems to be growing exponentially with the aid of social media sites. 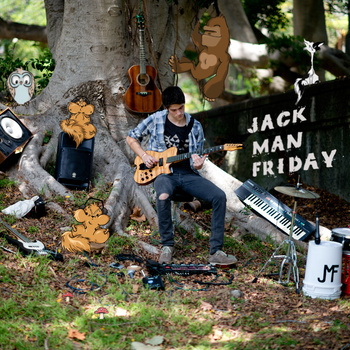 Jack features as Jack Man Friday on SoundCloud, iTunes, Triple J Unearthed, YouTube, Facebook and his website jackmanfriday.com . Don’t miss his upcoming gig at The Fitz Youth Centre, St Ives on the 22nd of February. Short and Sweet- Week 2 in Review. Week two of the Short and Sweet festival presented a uniquely diverse range of short plays, featuring two from Jodi Cramond, winner of the regional sector; the Short and Sweet festival in Dubbo. With high calibre actors and insightful food for thought, it looks like the Short and Sweet festival is running full steam ahead! “Disposable”, by Jodi Cramond, is borderline existentialist, as a man ponders to jump or not to jump and end his life, while two onlookers debate over the frivolity of his action. The premise of this play was a little predictable, however it was interesting to note influences from “The Importance of Being Ernest” and “Hamlet”, and the intensity of the acting really helped the performance. “A Burning Ambition”, by Cerise de Gelder was an interesting take on a famous event in history. By examining the antics of two friends worried about their missing friend’s vocation, the play places a magnifying glass over Joan of Arc and her internal dilemma. The play was a little slow and less captivating, but only because there was too much attempt to make the performance relevant to both 15th century and 21st century societies. Nevertheless, the underlying themes remained strong. “Bus Trip”, by Kathryn Yuen, was my vote for the People’s Choice- a fantastic concept framed in an insightful and relevant method. The play was a minute window into the thoughts, a running commentary perhaps, of the first bus ride of a public transport virgin and all her observations, her routine, and this internal monologue built in intensity and created tension in an empty room. The ending was a little out of the blue, maybe even incongruent with the rest of the play, but I feel that the integrity of the play as a whole, the concept and the execution was enough to pull through. “The Gospel According to Bowser”, by Dan Borengasser was a very popular pick for People’s Choice. Being a play that dealt with controversial issues, it managed to hold a self-reflexive mirror against the structure of religion, but did so in a respectful manner, which is a paradox to say because the vehicle of the tale was seen through the eyes of family pets- a dog and a cat. Wonderful acting and thorough explanations made the play work as the dog worshipped his master and the new feline questioned his dog-ma. “Diet Dilemma”, by Vee Malnar was the Crash Test Drama Runner-Up and was an outrageous examination of the paranoia of the diet conscious, whereby a wife doesn’t let her husband eat anything for fear of preservatives, additives, diabetes and the list goes on. The concept and execution were hilarious, however I feel the ending was a let- down, only because it was so predictable. “Shockhold Syndrome” by Sandy Maestro was creepy to say the least. Halfway through the play, the two actors paused and swapped roles, then repeated the dialogue again and the simplistic nature of the dialogue, lighting and theatrics were enough to intensify the subject matter- the curious relationship between captor and victim in abduction cases. Truly bone-chilling. “Snapped”, by Sally Davies was a strong and solid play. In an exploration of the perils of exposing drunken nights on cyberspace, “Snapped” follows intricate threads of human relations and plot twists. After one photo destroys one relationship, which eventually brings two couples together, the play takes a turn from whimsical antics to serious impact. Definitely a relevant performance for the cyber-generation! “Waiting”, by Kylie Rackham was my second vote for the People’s Choice award. Two people, both brilliant actors, are drawn together for their love of music. They’ve both got tormented pasts which the audience piece together over the play, however their relationship is essential for their lives to move on. The ending was a shock, albeit congruous with the tone of the play and was just a delight to see. “2 Count”, the second play by Jodi Cramond, was great, but this is in due credit to the actor. An OCD man making sense of numbers in a world of unpredictability provided a simple concept, with simple execution, which was a pleasure to watch. “Richard and Rod” by Patrick Nilan, was the final performance of the night and acted as a bit of light, comic relief. The play was anally fixated with a focus on sexual humour, but in such a light-hearted way that the audience roared with laughter. Short and Sweet is an exhibition of emerging talent that is not to be missed. Six weeks of the Top 80 plays to go! The Secret River, by Kate Grenville, is one of those stories that really hits your inner core. To most Australians, it’s a familiar tale- of white land possession in the colonial period of Australia and how these events has negative effects and consequences for both the Indigenous custodians and white settlers. The story follows a newly freed convict family who take some ‘vacant’ Australian bush and the hardships which follow a people flung into an alien land. Their experience is then paralleled to the Indigenous peoples on whose land they annexed- a very familiar story to all Australians who know of the Indigenous experience. In fact, some people may be put off by this text; for fear that it will be a broken record on Indigenous oppression and suffering. While The Secret River does contain these elements and this underlying message, the story is not at all a guilt trip. As with any Kate Grenville text, the craftsmanship is in the storytelling and the beautiful weaving of the narrative blanket. The text itself has won numerous prestigious awards, the Commonwealth Prize for Literature, and the NSW Premier’s Prize, to name a couple. It was shortlisted for Miles Franklin Award and the Man Booker Prize. Grenville has captured an age-old story and resurrected it with her beautiful words and made it relevant to a current society. 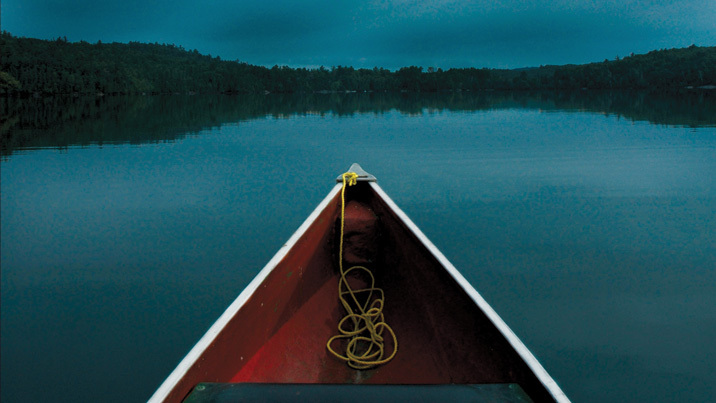 This year, until the 9th of February, the Sydney Theatre Company presents a stage adaptation of Grenville’s The Secret River. In terms of production elements, the performance is beautiful, even magical. By recreating the iconic location, (the Hawkesbury River,) on stage, they transport us back to a land before our known time and they achieve so using only a communal campfire, simple mis en scene and eucalyptus branches. By employing self-conscious theatre techniques, the audience is alerted to the construction of the play and therefore the relevance of the social justice commentary; for example, sounds of the water trickling are made by a small boy down stage right, and the orchestra sits on the stage. These act as a subtle reminder to us that we are not to be immersed in the theatrics or the tale itself, but to remember the themes and message that this play acts as a vehicle for. The lighting and subtle uses of computer projections are excellent and stand as a testament to the absolute professional quality of the Sydney Theatre Company’s stage team. The directing was exceptional, tying up loose ends and detailing the play to the enth degree and the acting was so powerful, so intense. This production is not to be missed, even though we know the story, even though with hindsight we know the ending will be tragic. What we do not know is just how crafty Grenville’s storytelling is and how perfect and simple a Sydney Theatre Company production can be. The Sydney Short and Sweet Festival has been labelled the “Biggest Little Play Festival in the world” and draws an international audience. For its 12th year running, theatres in Newtown, Marrickville and the Seymour Centre play host to this influential festival spanning over three months. This year, over 80 original plays will be performed, providing an opportunity for over 800 emerging writers and artists to gain the exposure they need to possibly jumpstart their professional careers. This is an amazing opportunity for appreciative audiences, agents and curious townsfolk to come out and sit in on one of these short play nights. Each week offers a different line-up of plays, each running for no more than 10 minutes each. As the festival wears on, the people’s choice will be awarded for the most popular and wild cards will be performed for extra entertainment. 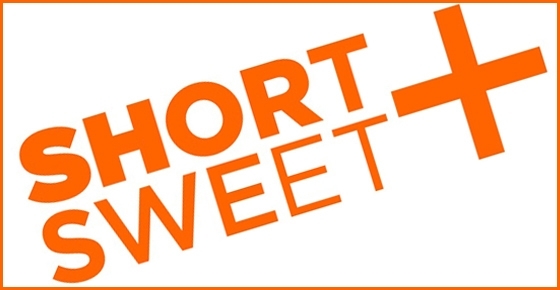 Short and Sweet is an exhibition of dramatic proportions, for writers and artists from regional Australia and as far as Malaysia and India, to showcase diverse ideas and themes while experimenting with the limits of the stage. I arrived to the festival while it had been going full steam – I began my journey in week two. The powerful acting and magnifying glass on the details of life were strong elements that captivated me in short, instantaneous bursts of imaginative insights. A CRASH COURSE IN THE ART MOVEMENTS THROUGHOUT HISTORY. Recently, I ventured down to Canberra for the night to see the Toulouse-Lautrec exhibition. Until April, 2013, the National Gallery of Australia is hosting the exhibition Toulouse-Lautrec; from Paris to the Moulin Rouge, a showcase that illuminates the progress of Henri de Toulouse-Lautrec’s development as an artist in Paris during a simmering pot of intellectual art movements. It was really very interesting to note where he studied and with whom he studied with, for example, he began his studies with Leon Bonnat at Montmartre and liased with artists such as Van Gogh and Charles Conder, all of whom influenced his work tremendously. 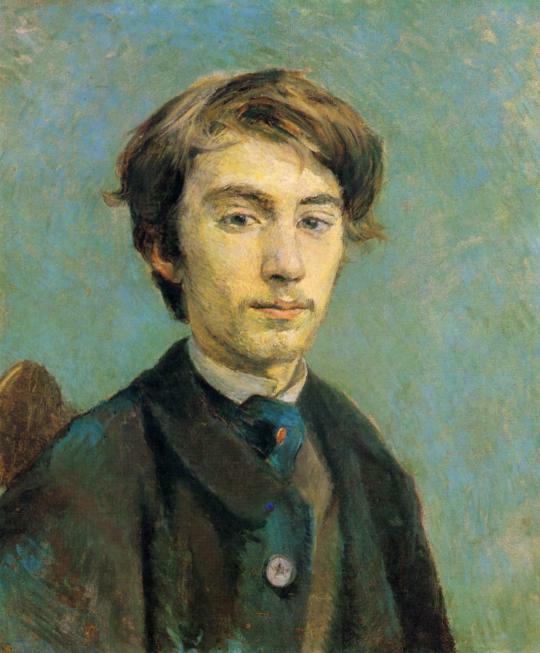 One of the first pieces shown in the exhibition is a portrait of Emile Bernard and from this artwork, we can understand that (like Picasso) Lautrec began his artistic studies and career with an already high-calibre skill set. 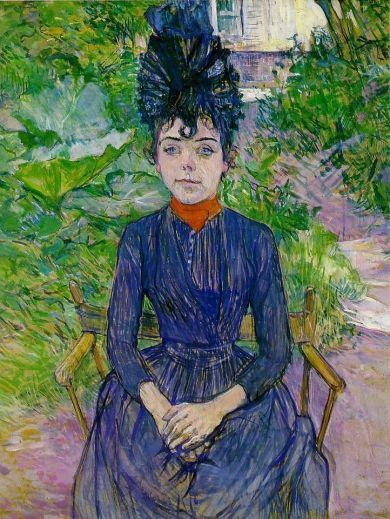 From there, we see his deconstructions of the subject by stripping away the naturalistic or realistic qualities of the subject and thus revealing personality through caricature, shading and highlighting, (see Justine Dieuhl: woman in a garden, Toulouse-Lautrec). Not only does his approach and style develop and mature to an expressionof social commentary through caricature, but so too does his subject matter. 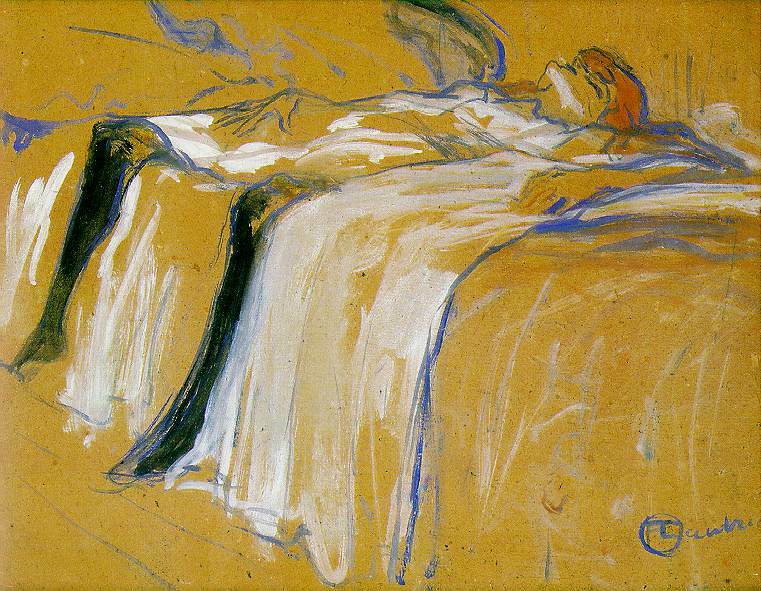 Personal life aside, Lautrec chose to paint the private lives of women in the cheaper strand of brothels and theatre, to underline just how difficult the working life was. In a very Degas-esque homage, Lautrec paints women in their professional environment after house, when they are tired and weary and in doing so, he gives these people dignity, (refer to Alone, by Toulouse-Lautrec). The exhibition concludes with a showcase of his graphic design for commercial purposes- billboard posters for the Moulin Rouge and other such leisure activities. However, if we examine the style, we can see a direct parallel with a lot of the intellectual clouds of the period, Lautrec was an artist who flirted with a number of styles and movements and never settled on one. This is one of the most significant things about his study- he never chose one movement and from this, we can understand the rapid change in intellectual art climates. Here’s my crash course in art movements for dummies, from observations I gleaned from previous exhibitions- this is me making sense of art history in my muddled brain. Realist and Naturalist styles, as reflected in the work of the Renaissance, are an attempt to capture an image in as much glory and reality as possible. The subject matter may be divine (in some cases) and therefore there was a necessity in painting these in a realist, even naturalist light, even if for the sole purpose of grounding the divine in a reality. A tree is and will be depicted as a tree. Impressionist styles stretch the boundaries of reality and landscape, these are the impression of the artist, rather than an attempt to copy. A blur of colour, an experiment with light and form in a smudging of reality. A tree will be my interpretation and my impression of that tree, capturing atmosphere and the like. Neo-Impressionism or Pointillism is the post-impressionist movement and has been labelled both more structured and less structured that the impressionist approach- depending on the artist’s idea of restriction and regimentation. Regardless, the neo-impressionists broke down the blur of impressionism and colour to create separate ‘pixels’ of colour if you will. An organised image of coloured dots, which the eye compensates for. A tree is made up of any number of dark and light elements of the same colour on a sloping gradient. Identify and separate these. Abstract expressionism finally employs the solid coloured dots that make up the pictures, but they break them down even further to whole chunks of colour, solid blocks. The green tree will still be identified as a tree if the image is one solid green. Following the release of their new album, Beacon, Two Door Cinema club has embarked on a world tour. Since the Irish band’s inception in 2007, they’ve toured as a support act for a number of bands that classify as Indie-rock and synthpop, and have featured at many festivals throughout the USA. Finally, Australia welcomes the band with sold-out performances along the east coast. 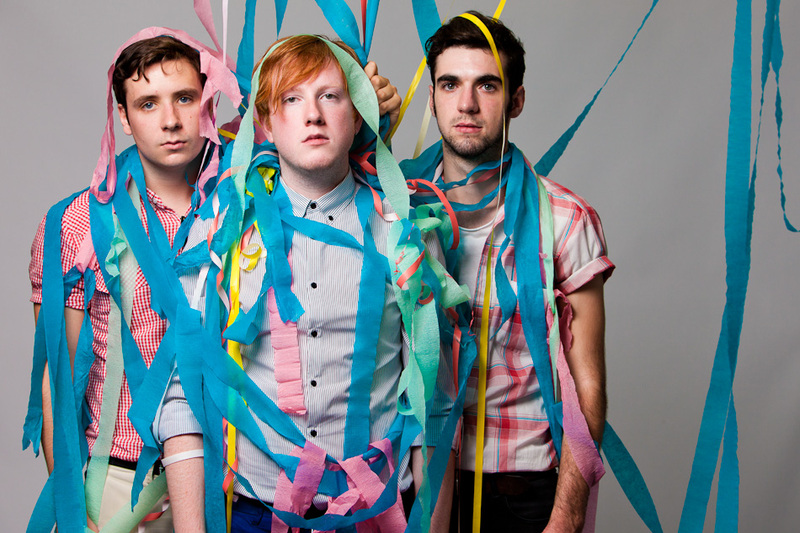 Two Door Cinema Club has featured in the soundtracks to two major films- Chalet Girl and Soul Surfer, however, their music has been more successful in advertising, video games and the like, managing to hit Triple J’s Hottest 100 list in 2010. The Irish-born band features Alex Trimble, Sam Halliday and Kevin Baird, with Ben Thompson touring on the drums. Their music has been likened with Foals and has released successful covers of bands such as Mumford and Sons, and Phoenix. Songs like Undercover Martyn and Something Good Can Work mark their signature sound from their debut album, Tourist History, while their new album promotes a different pace, tempo and dynamic, with songs such as Pyramid and Sun. This year, Two Door tours with The Jungle Giants and The Vaccines, with both bands having glowing reputations and prosperous careers in their own rights. The concert at Hordern Pavillion proved that Hordern was the perfect venue for such a gathering, with exciting strobe lights and lazers cutting through smoke and giant balloons. Without wasting time, Two Door hyped the audience with sporadic banter and stories as segues to their chosen songs. Although the doors opened at 7:30pm and the main act came on at 10pm, the crowd was appeased by The Jungle Giants and The Vaccines holding our attentions with measured intervals. When Two Door finally came on, the crowd, regardless of experience with this band, came alive and with the performance theatrics, the whole event became a major dance party. Their sound is mostly identified by their fast-paced guitar and upbeat tempo. As a band, each song has a similar formula, but their dynamics are different, holding the listener with well-placed guitar riffs and well-timed pauses. Their sound is infectious and the future for this band could not be brighter.